I’ve been been dealing with some pretty bad anxiety lately. It’s been a constant in my life for as long as I can remember. But Mrs. Primary Ignition and I have moved, and I’ve changed jobs. The latter has been hard for me, though I’m essentially doing the same job. It’s a lot of new people, more specifically a new boss. People say I don’t deal with change well. I’ve balked at that in the past. But in my heart I know it’s probably true. Anxiety is like standing in front of an angry bear. 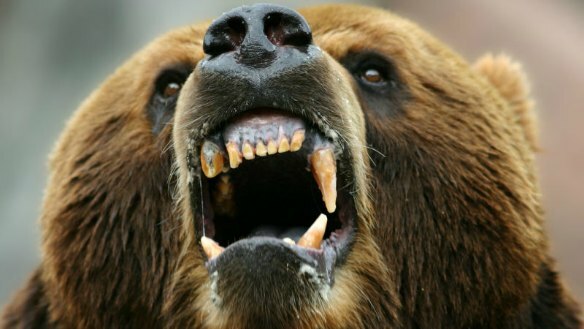 When you’re facing that angry bear, everything in your body is telling you to react. Your fight-or-flight response has kicked in. You essentially have two choices. You can run away from the bear, or you can take him on. You don’t know how you’d take him on, or what that action even consists of. Obviously running is the easier choice. But here’s the thing: If you run, the bear is going to chase you. Now imagine facing that kind of life-or-death dilemma every day of your life. Multiple times a day. Sometimes it’s for hours at a time. And the kicker is, sometimes it turns out the bear wasn’t angry at all. You weren’t even seeing things clearly. So you find yourself questioning, second-guessing, and doubting everything. Even yourself. Of course, the only way to rid yourself of the anxiety is to actually face whatever you’re afraid of. Easier said than done. Believe me, I know. But one of the biggest upsides to dealing with anxiety is that the fear itself is almost always worse than whatever it’s directed toward. That bear is tough. But he’s not nearly as tough as you think he’ll be. So do everything you can to step outside your comfort zone, and face the bear head on. I promise you, It’ll be worth it. This entry was posted in Mental Health and tagged anxiety, Anxiety Talk, Mental Health, mental illness, Rob Siebert on 07/20/2017 by primaryignition.